Fox News CEO Roger Ailes: NPR Execs Have 'Nazi' Attitude In an interview with The Daily Beast, Fox News chief Roger Ailes criticized NPR's decision to fire news analyst Juan Williams after he made remarks about Muslims on Fox. He called NPR executives Nazis several times. Ailes has issued an apology to the Anti-Defamation League. The head of the Fox News Channel has apologized to a Jewish civil rights group after calling NPR's executives "Nazis" several times in an interview. 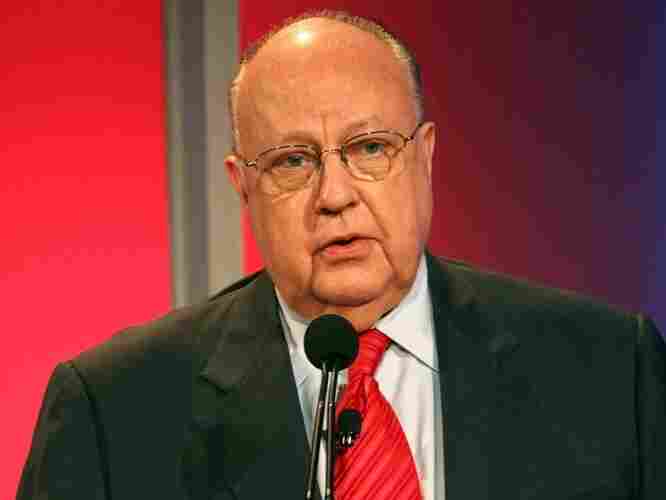 Fox News chief Roger Ailes spoke to a reporter for The Daily Beast this week. He ripped NPR for terminating news analyst Juan Williams after he made remarks on Fox News about Muslims. NPR said the termination followed a pattern of inappropriate remarks. Ailes rewarded Williams with a $2 million, three-year contract. But in the piece published Thursday, Ailes spoke of NPR executives: "They are, of course, Nazis. They have a kind of Nazi attitude. They are the left wing of Nazism. These guys don't want any other point of view." In a letter Thursday to a top official of the Anti-Defamation League, Ailes apologized. He said he should have instead said "nasty inflexible bigot." But Ailes also wrote that he's upset at two rabbis who complained about Fox host Glenn Beck for repeatedly comparing his own rhetorical targets to Nazis. The letter came the same day as an effort by conservatives in the House of Representatives to force a vote on stripping federal funding for NPR. NPR receives a sliver of money from the federally financed Corporation for Public Broadcasting for its own operations each year, though public radio member stations rely on that money more heavily. The effort to have a formal vote on the funding failed. But a new Congress takes over in January, and when it does, the House will be controlled by a resurgent Republican majority. Both NPR and Fox News say Ailes has not apologized to NPR executives for calling them Nazis.